In The First Half Of The 20th Century Which Of These Was An Olympic Sport? Although we think of Olympians as those who have mastered a physical art (like wrestling, running, or archery), between 1912 and 1948 there were 146 medalists in over two dozen categories devoted to more traditional arts. Medals were awarded not just for painting, drawing, and other graphic works, but also for architecture, literature, music, sculpting, and even, curiously, statistics. Each category had multiple subcategories that reached across disciplines within the greater category. Medals were awarded in architecture for mixed architecture, architectural designs, and urban planning. Music, likewise, had multiple medals for categories such as orchestral composition, chamber composition, and vocal. 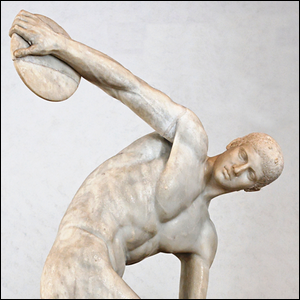 Although early modern Olympic organizers thought inclusion of the traditional arts was critical to the spirit of the Olympics, by the 1952 Olympics the art competitions were removed on the basis that it was an unnecessary burden to hosting communities and that the Olympics were intended to be a show of amateur talent, but that the entrants in the arts-based categories were increasingly and clearly professionals in their fields.